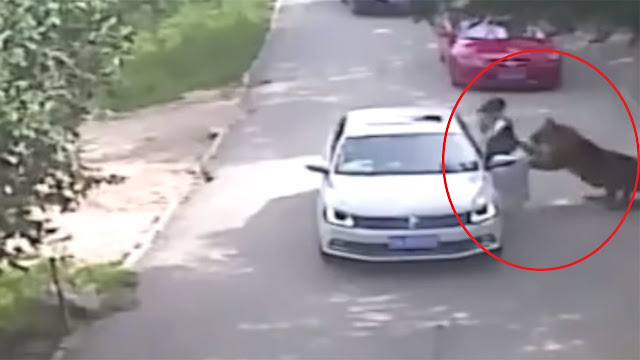 The unexpected and deadly incident took place in the Badaling Wildlife Park in Beijing, China. The innocent woman visited the park with her family where the quarrel held with her family in the car. Turns out the young woman got frustrated with her family as an argument ensued. She was so mad that she went out of the car. That’s when a Tiger grabbed her, then dragged her away. The mother and the young woman’s husband came out of the car and attempted to save their daughter. But it was too late. The husband and mother haven't faced any injuries and they are safe. Their child was unharmed as well. Very sad, but a harsh reminder to always know your surroundings and never get so irate that you could potentially put your own life in peril.